LEDskin is an innovative system for building LED walls quickly, easily and with minimal footprint. With integrated LED video walls, an extra dimension has been added to the original frame system! Design your structure with light weight easy to assemble frames. Unique designs and full walls are quick to set up with minimal footprint! Place the 3.1mm LED tiles anywhere in the framework for enhanced booth appearance or build full video walls to wow the crowd. Build LED tiles right in to your design! Tiles lay flush with existing framework and cables are easily wired through existing holes! Reap the rewards of integrated video graphics attracting prospects into your booth! 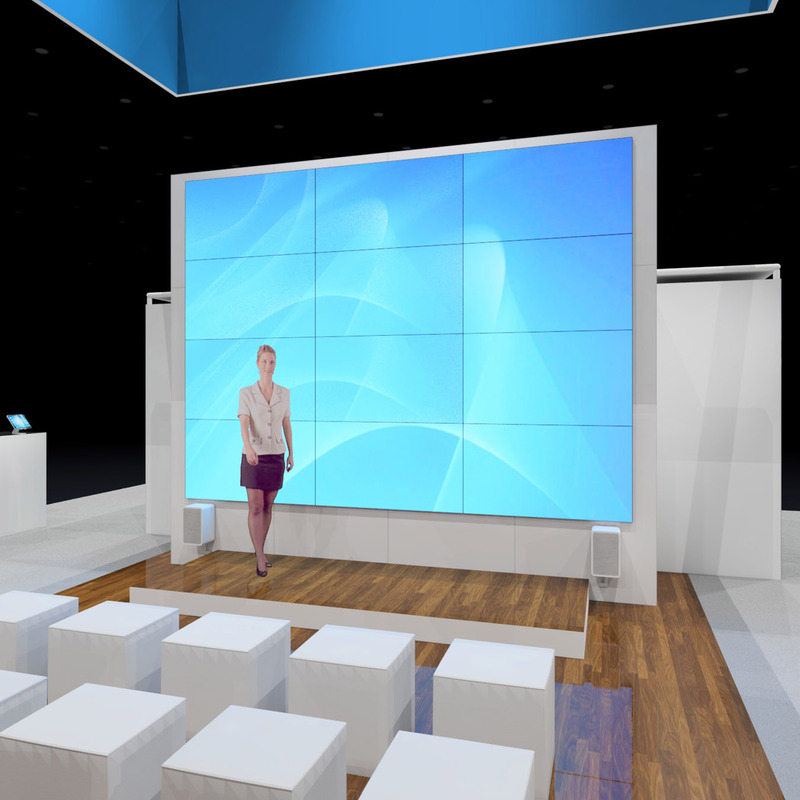 NEC Video Walls create unique event user experiences. Our traditional mounting solutions are portrait, landscape, back to back, flown, ground supported and rolling stands. If you have a special request or idea, let us know and we'll make it happen! The kiosk design is impeccably made. Measuring in at a mere 1.6″ in depth, not only will you attract all audiences, but you will also save on floor space! product and attracting people into your booth! 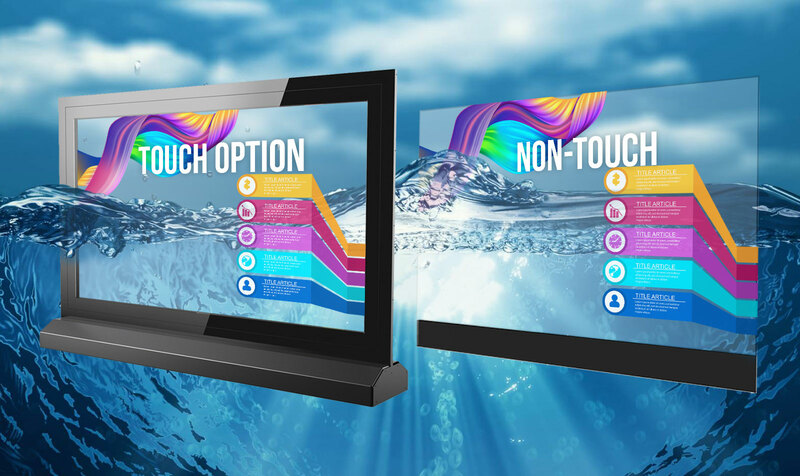 The integrated transparent display allows the user to see through the digital screen like a piece of glass letting the user to experience the product with unique content drive at the forefront. The Innovate Transparent Series is a brand-new type of solution, which makes it possible to achieve transparency without a backlight. The 55” Transparent OLED consists of self-emitting diodes which can operate in any inside environment. Without the need of a backlight or showcase, the Innovate Transparent see-through OLED screen can be placed in the middle of a room or integrated into a wall creating a UNIQUE customer experience! captivating content is a necessity but its still not enough. Take the next step to create engaging content for the audience: add an interactive element and truly set your event apart with an enhanced user experience. The Tradeshow Network Marketing Group has extensive strategic and creative resources that can help you get the most out of your trade show schedule. We work with you to develop and implement marketing tactics that consistently portray your brand image, integrate with your other marketing initiatives, and yield results linked to your business objectives. We have developed an array of marketing tactics designed to increase trade show and overall marketing effectiveness, including websites, marketing collateral pieces, presentations, direct mail, and advertising campaigns. Come learn how we can help you!